Our speakers have thought outside the box, pursued big ambitions and have been pioneers in their fields. They share their experiences with us on how they have forged their paths and their experiences along the way. 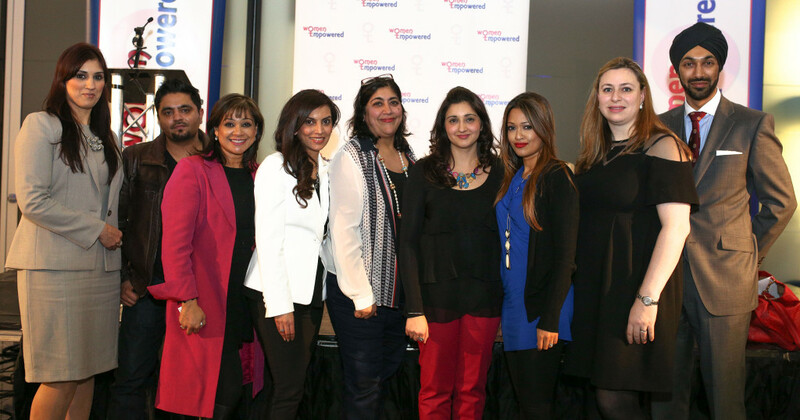 Gurinder Chadha OBE – Film Director. 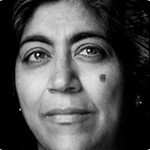 Gurinder Chadha is one of the UK’s most proven and respected film makers with a successful track record in directing films which are international box office successes. 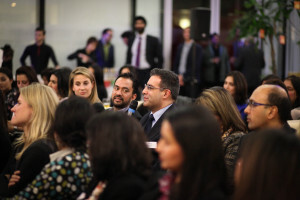 Gurinder began her career as a BBC news reporter. 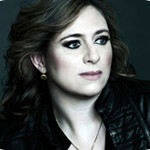 She went on to direct award-winning documentaries for the British Film Institute, BBC and Channel Four. Her first feature BHAJI ON THE BEACH won numerous international awards including a BAFTA Nomination for ‘Best British Film of 1994’ and the Evening Standard British Film Award for ‘Best Newcomer to British Cinema’. In 1995 she directed RICH DECEIVER, a two-part drama for the BBC watched by 11 million viewers. WHAT’S COOKING?, the Opening Night Film of the 2000 Sundance Film Festival, was the first British script to be invited to the Sundance Institute’s Writer’s Lab. The film was voted joint audience award winner in the New York Film Critics’ 2000 season (tied with BILLY ELLIOT), and Gurinder won the award for Best British Director in the London Film Critics’ Circle Awards. BEND IT LIKE BECKHAM was the highest grossing British-financed, British- distributed film, ever in the UK box-office prior to the success of ‘Slumdog Millionaire’. The award-winning film was a critical and commercial success internationally, topping the box-office charts in the U.S., Australia, New Zealand, Switzerland and South Africa, and winning audience favourite film awards at the Locarno, Sydney and Toronto film festivals. The film received a Golden Globe Nomination for Best Picture (Musical or Comedy), a BAFTA Nomination for Best British Film, a European Film Academy Nomination for Best Film, and a Writers Guild of America Nomination for Best Original Screenplay. BRIDE AND PREJUDICE – a film which marries Jane Austen with Indian and Western musicals – is the first film ever to open at Number One in the UK and India on the same day. ANGUS, THONGS AND PERFECT SNOGGING – based on the international bestseller, was released worldwide by Paramount Pictures in 2008/2009. IT’S A WONDERFUL AFTERLIFE – a heart-warming comedy about a hysterical Indian mum whose match-making efforts turn deadly when she tries to marry off her frumpy daughter – made its world premiere at the Sundance Film Festival 2010. With extensive publishing experience and significant knowledge of the fashion, retail and luxury industries, Ahlya Fateh is currently a highly regarded senior executive who combines a strong creative vision with an astute strategic understanding and exceptional management skills. Ms Fateh graduated Exeter University with a degree in French and Russian and began her career as an audit trainee at Price Waterhouse in 1994. 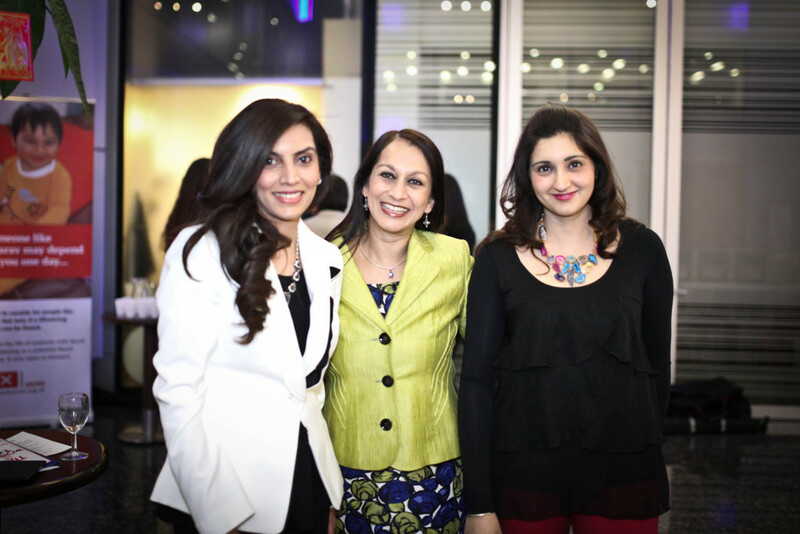 Ms. Fateh was Managing Editor of Tatler magazine from 2001 to 2010 where she brought the magazine’s editorial and staff costs back under budget within the first six months of her tenure. In 2009 Ms Fateh spearheaded Tatler’s 300th Anniversary edition which featured over 200 editorial pages, photo shoots around the world and culminated in a gala for 800 in October. 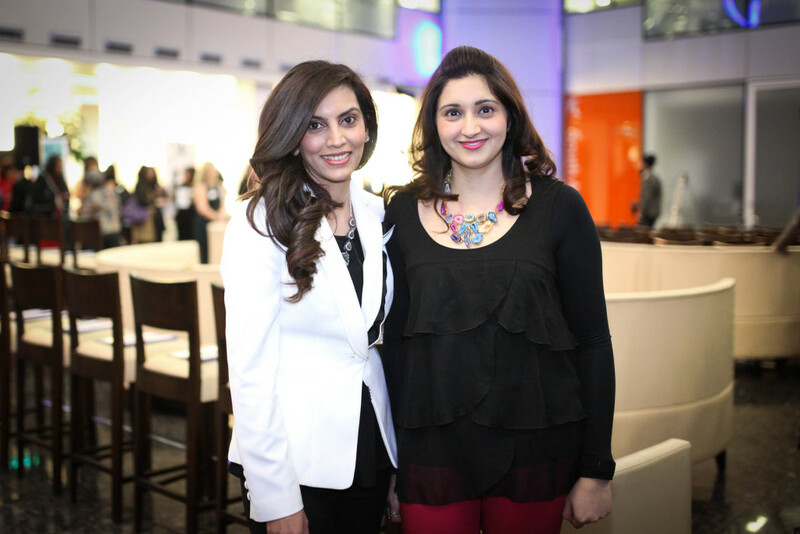 In 2010 Ahlya was brought in by Tata Naka as Managing Director to re-launch the fashion brand at London Fashion Week. During her tenure as MD she has personally increased sales by 25% season on season, re-established the brand by showing at Somerset House, launched a pop up retail space with VOGUE’s fashion’s night out and established relationships with international and UK press and buyers alike. Ms. Fateh is also responsible for creating new revenue streams through collaborative projects with retailers and sponsorship opportunities by leveraging social media reach and database analysis as well as introducing an e-commerce site for SS12. 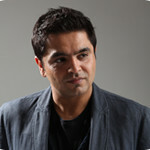 Rishi Rich is arguably the most successful Asian music producer our generation has seen. His unique and creative beats are synonymous with fans and artists alike. Recognised from a young age for his innate love of music, the harrow-born rising star signed his first album at the age of fifteen under the production of ’2 Kool’. Rishi went on to co-produce ten Asian music albums before working on his first solo album entitled ‘Simply Rich’. It debuted at No.1 in the Asian charts in October 2002 with the timeless lead single Nahin Jeena, featuring Don D and Juggy D.
The landmark album, showcasing Rishi’s innovative style of fusing RnB, Ragga and Bhangra, undoubtedly propelled Rishi’s trademark beats into the mainstream. Combining his influences from his Punjabi background and his love for urban music and pop, the talented producer has been able to appeal to a wider audience through remixes with international artists such as; Craig David, Mary J Blige, Ricky Martin, Westlife, Estelle and Liberty X. He produced the official Top 10 (No.6) hit Roll. With his talent for spotting new artists, Rishi went onto launch the successful careers and flamboyant sounds of Juggy D and the soulful flavours of Jay Sean. The trio brought a new sound to the millennium and achieved revolutionary mainstream success with their Bhangra and RnB concoction. In 2004, Rishi produced the title-track Hum Tum for the super hit Yash Raj Bollywood movie starring Saif Ali Khan and Rani Mukherjee. 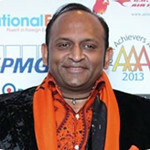 In the same year, Rishi was awarded Best Producer and Best Single for Dance With You at the UK Asian Music Awards (AMAs). 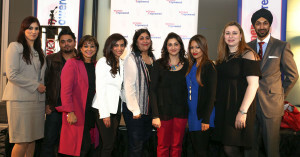 In 2009, Rishi received the Award For Excellence at the Asian Woman magazine awards. Rishi was also awarded Best Producer for H-Dhamis Sadke Java album at the prestigious Asian Music Awards and at the same time, Rishi was honored with the Commitment To The Scene accolade for his consistent dedication and positive contribution to the Asian music industry. He continues to work with some of the best in the business from both sides of the world with some exciting new tracks coming soon with some amazing and well respected vocalists and is managed by one of Indias leading management company, Carving Dreams (who manage artistes such as Hrithik Roshan, Saif Ali Khan, Bipasha Basu and more). Equity Stake is an investment company for the entrepreneur in the making. It has one simple aim – to help those with a great business idea but no real entrepreneurial experience or background to grow a business aggressively, from launch to successful exit in just five years! Using a highly structured and unique methodology, Equity Stake provides investment and a supportive infrastructure that is the pathway to business success. It doesn’t matter whether you are 12 or 72, have been to university or left school at 16, employed or out of work … whatever your background, if you have an idea for a business we want to hear from you! Please visit our website www.EquityStake.co.uk for further information. We would like to thank Sukhman Grewal for providing photography at the event. Reena Ranger, chairman and co-founder explained that the premise behind today’s event was to discover how the evening’s speakers pursued big ambitions and became pioneers in their respective fields; what was the secret to their success and how could we use lessons from them to seize big opportunities and fulfil great ambitions for ourselves and the privilege to have Gurinder Chadha OBE, Ahlya Fateh and Rishi Rich share their journeys and experiences with those present. 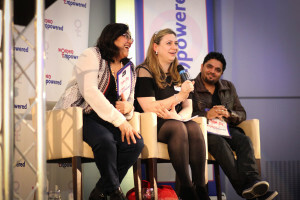 Speaking to almost 140 guests, Gurinder Chadha said that the phrase that was her idea of thinking big came from the dialogue of one of her most successful films, Bend it Like Beckham, and the character Jess Bhamra; “anyone can cook aloo gobi, but who can bend it like Beckham?!”. She spoke about how whilst growing up she was told what to do and how to behave much like Jess Bhamra had in the film. She went on to say that Jess was always going to have it all, the only question was how she was going to get there. To answer that question you had to think big and look within yourself, remember your younger self and overcome challenges in whichever way you could. It wouldnot always be simple but the answers lay within you. If you want to achieve something and your reasons are correct, you would get there. 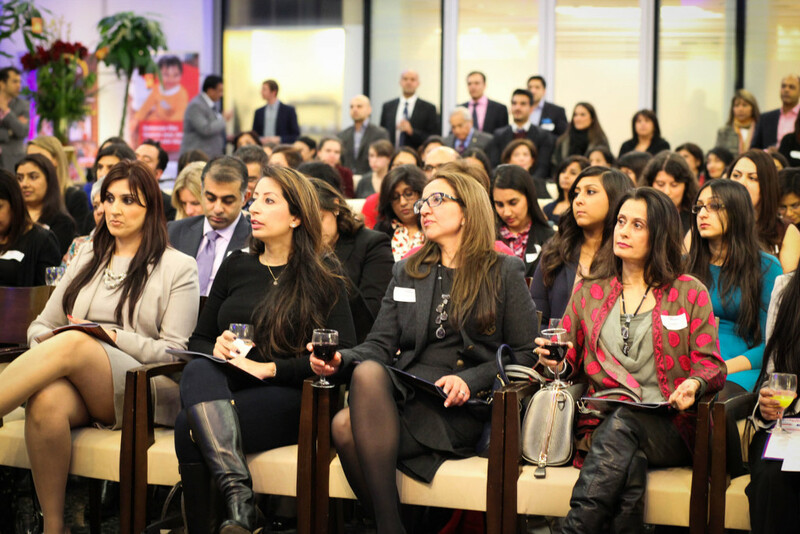 At each event Women Empowered partner with an enabling partner to facilitate the change from an idea to bringing it to fruition and at this event EquityStake was that partner. They are an investment company for the entrepreneur in the making. It has one simple aim – to help those with a great business idea but maybe no real entrepreneurial experience or background to grow a business. 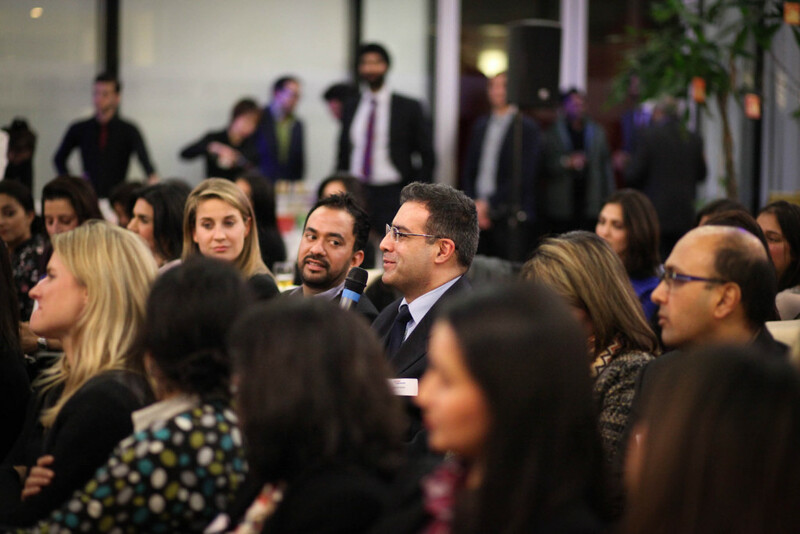 Hardeep Rai from EquityStake expressed that a great number of people had approached him with fabulous ideas and he was eager to follow many of them up.